More than 25 years solutions for total climate systems in livestock houses. You can find Abbi-Aerotech installations all around the world, either projects custom-made or with products working under different climate conditions . In 1990 , Aalbert Bussem started the production and sales of Abbisun infrared brooders . During the first years also ventilation systems were imported from Aerotech, Inc. USA. Since 2002 a licence agreement with Aerotech, Inc. was concluded for the production of their entire programme. When Aerotech, Inc. was sold to Munters, Abbi developed their own range of fans with an emphasis on energy efficiency. The specific parts are tailor-made in cooperation with specialised companies. As manufacturer, we control assembly and final inspection. This resulted in 1997 in a new infrared brooder, the Mirage, being outperformed to existing types of brooders. In the year 2002 we added a new line of hot air blowers, the NG-L types. These heaters can operate on natural gas as well as propane/LPG and operate with low gas pressures. Later, in 2007, we launched a new type of fan, the Abbifan , The use of synthetic materials to optimize the airflow was new for the sector. Low energy consumption figures characterizes the product, while new developments are knocking on the door. 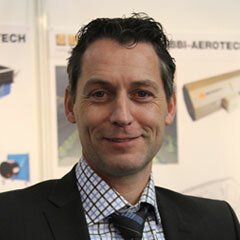 Since 2012, the company operates under the name Abbi-Aerotech B.V, where Aalbert's son Eric succeeded him and is now heading the company as President. New developments are ongoing, both for poultry farms as for dairy farms. Board member. Started the company in 1990 and travelled to most clients worldwide. Senior advisor and specialist in dairy ventilation. Develops new products for the practical farmer. Still active every day and well-known in the industry. Eric, born in 1969 in Winterswijk, the Netherlands. 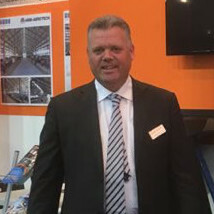 Joined the company in 1991 and started in the production, and later on via purchase, service, project engineering to sales and since 2012 as President of Abbi-Aerotech B.V.
Robert Camaro started in 2006 as sales Director Asia and he is responsible for the dealers in the Asian market. Robert is specialist in all kind of heating possibility's in the poultry market. 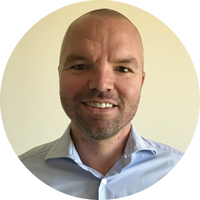 Johan Bellekom started in 2018 with us as Export Manager, and has over 10 years of experience in the dairy sector. He is responsable for tour dealer network in close collaboration with Eric and Mariëlle. He enjoys explaining our products to our customers for mutual benefits. Marijn Zwinkels started in 2015 with us as Export Manager, and has over 10 years of experience in the agricultural sector. 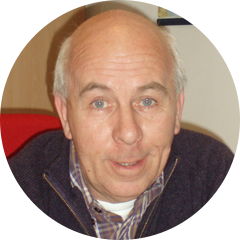 He is responsable for tour dealer network in close collaboration with Eric and Mariëlle. He enjoys explaining our products to our customers for mutual benefits. Innovations to optimize living conditions for livestock and to save energy consumption.